We’re 8 years old today! We’ve been giving animals in Pennsylvania a political voice since 2007. And, boy do we have our hands full. A record 33 animal-related bills were introduced in the Pennsylvania General Assembly just this session alone. Tracking and advocating for each keeps us very busy. We’re completely volunteer run. Every cent you give to us goes directly into strengthening the animal vote in Pennsylvania. Unlike most other animal advocacy organizations, Humane PA is a political action committee, not a charity. That means that we are not prohibited from helping to elect and support humane leaders, like most nonprofits are. We do what other organizations can’t. We couldn’t do it without you! You’ve helped us grow to over 36,000 members on our Facebook page alone. That’s 36,000 animal advocates who will write letters and make phone calls in support of good laws. Political candidates care about our endorsement. 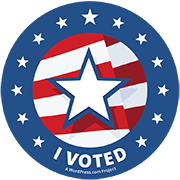 During the last election over 50% of candidates for office in Pennsylvania completed our endorsement survey. Pennsylvania voters care about animals and we make sure they know what candidates share their views. We love your animal pictures. There’s no better way to illustrate our work than by putting a face to it. Many of the photos featured on our website and Facebook page come from you. Keep them coming! (Got a clear, close-up looking into the camera? Message it to the Humane PA Facebook page). And last, but not least, YOU are Humane PA! 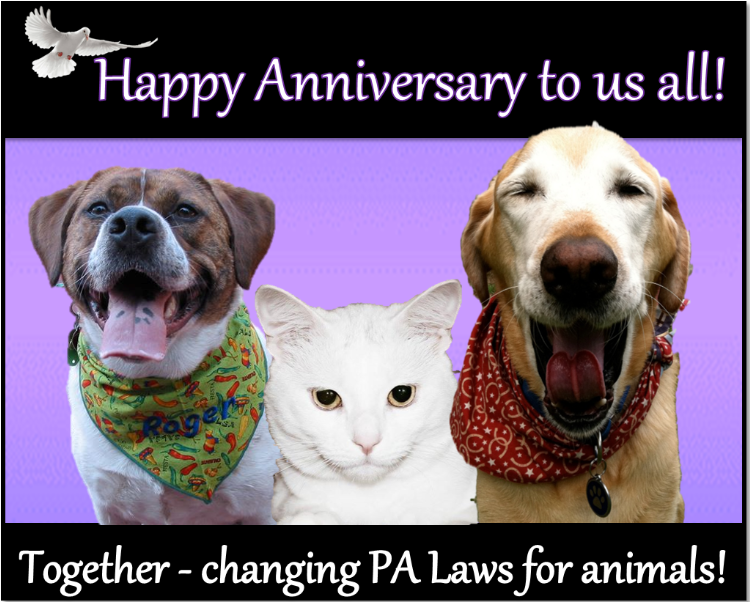 Humane PA is an independent organization not affiliated with any one group, whose sole reason for being is to give you the tools you need to make a difference for Pennsylvania animals. Thank you for all that you do. * Eight things, in celebration of our eighth birthday!